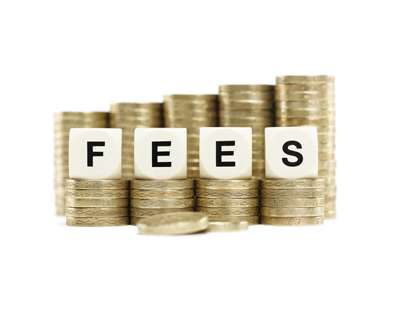 The introduction of a ban on fees charged by landlords and letting agents look set to finally come into force on 1 June this year, the government announced yesterday. Following yesterday’s third reading in the House of Lords, the Tenant Fees Bill is likely to receive Royal Assent in the coming weeks. 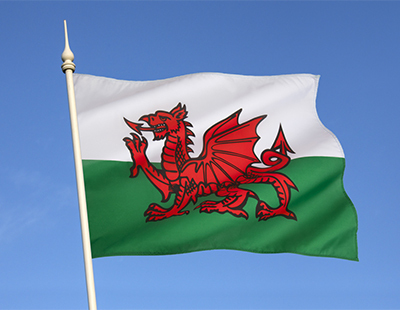 Speaking to the Lords, Lord Bourne of Aberystwyth said: “We need to enable agents and landlords following Royal Assent to become compliant, but we intend for the provisions to come into force on June 1st 2019. David Cox, Chief Executive, ARLA Propertymark, said: “With the Tenant Fees Bill completing its passage through the House of Lords this afternoon, it appears the Tenant Fees ban will come into force on 1st June 2019; subject to parliamentary scrutiny in the House of Commons. But who is going to pay? these fees aren't going to go away, to start with us the landlords, but the extra cost will soon be passed back to the tenant by means of increased rent, and lets face it there is no shortage of tenants out there looking for a home. There only needs to be introduction of the Tenant Referencing Passport so that a tenant only needs one passport which can then be touted around as many LL and LA as they want. No other referencing is required. If the TRP qualiies the tenant prospect for RGI those tenant applicants will be the cream of the crop. There wont be anymore delays.So all a LA will need to say to any tenant prospect is that they will need to purchase their own TRP. If they dont want to then they simply wont be considered. Note the LA or LL is NOT requiring the tenant prospect to obtain their own TRP they are simply stating that without one the LA or LL simply wouldn't consider them for any tenancy. If the tenant didn't wish to be considered then they wont bother with obtaining their own TRP. It is completely up to the tenant if they wish to be considered nobody can force them to be so. It will the tenants choice!! good news or not, it is warning that some agents' fee is too high and greedy. As landlords, we never charge introduction fee, never ask tenancy deposit more than a month rent, we don't abuse the business opportunities and we are very customer service oriented, in brief. Business is getting tougher and tougher, if the price value did not match the service and quality of the product provided. You will be out soon. This is a very good message to those who are bully and think they know it all but neglect both landlords' and tenants' right in the way how they manage their business. Interesting how differing some LL do business. I always charge 2 months rent as a deposit and will continue to do so though slightly differently when the 5 week deposit ban comes into force. I charge nothing for an AST or inventory. The tenant has to obtain their TRP or I won't consider them. So basically to be considered and to eventually become a tenant of mine costs them £40. Yes the tenant needs a 2 month deposit but no more than that. This must be considered a very good deal from the tenants perspective. Of course I self manage. So perhaps with my lower costs and charging structure I might be considered to be a better propect as a LL than those LL that choose to use a LA. Will perhaps those LL who self manage obtain the best tenants leaving the dross to the LA? Good on you Paul. The best way. I believe that many LL will consider their position in light of all that is occurring and conclude that self management gives them the ability to have the most effective offer for tenants. If LA believe they can just pass the tenant fees to the LL in higher management costs they are deluding themselves. The internet is a major disruptor to the soon to be dead current High St LA business model. LA will need to come up with a far more compelling offer for LL and tenants alike if they wish tenants and LL to use them. Social media is where propective tenants are increasingly going. LA will have to manage on vastly reduced fee income and will have to accept they will not be able to simply pass on the tenant fee loss for higher LL charges. LL are already having to increase rents to cover for all the bonkers policies councils and Govt are introducing. To imagine there is any additional headroom for LL to increase rents sufficient to pay for increased LA charges to make up for their lost tenant fee income is for the birds. 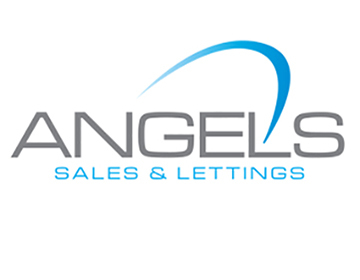 A Local LA I know well advised me that he faces losing about £30000 in tenant fee income plus he has just been hit for much higher business rates for a new office. This potential loss means he will need to make about 2 or possibly 3 staff members redundant. He simply could not afford to pass on the costs of tenant referencing etc to a LL many of whom are choosing to sell up. Indeed the last time I spoke to him he advised he was very busy with valuations for LL seeking to exit the PRS as a consequence of all the things known about with S24 being the main reason. So I would suggest a LA position is not a happy one. I can only see LA consolidation as a viable response to managing LA income. Do we really need 5 LA in close proximity to eachother when 1 will suffice!!? Peoples, and I mean good hard working hard earning peoples who have purchased their properties either with the help of banks or lenders or paid cash, using their own hard earned money. Us peoples who employe Gas Safe person, Elec qualified persons, Inventory qualified persons, cleaning persons who clean, use shops that provide our quality beds for our tenants to sleep in, maybe first rate firms who supply are White goods. Then our time on being on call 24/7 365 days of the year, no days off, even can be spoken to on a christmas day a bank holiday our holidays abroad us humans not a machine that takes a message because its a Saturday afternoon or a sunday but us persons always available for our tenants, the ones who always pay their rent on time, will always be available to let our maintenance man in to carry out a repair the rent paying on time tenant requested. The tenant who looks after Our property you know, us the persons who have worked hard to provide homes for other persons to live in either on their own or with a partner or with their family. We don't live on Fines, Council Tax, Licence Fees and provide substandard housing, the type that if there is a fire dozens die. We apply our own rules and yet also we have to work with the stupid silly trust not tricks rules the council impose on us professional yet don't abide by them themselves. Might mean we peoples who have worked hard who take a pride in our hard earned properties who carry out our own Inspections every 2 or 3 months who listen to our tenants, start selling up and moving into Commercial properties where you will be dealing with like wise peoples who work hard to get what they want. Let the Council, Shelter, Charities etc start providing Homes for the people who need and want to rent because we run our rental properties like a business a business which has to make a profit in order to continue putting roof over tenants heads, those mentioned have to start learning again like they did in the 50s and 60 and 70s otherwise the homeless will increase. Like Brexit, we need to get out and get out now, No deal as we have already paid over £40 billion over the past 39 years. Start again. I consider your sentiments to be very wise. You have correctly identified that the whole PRS cycle will need to occur again. Unfortunately the lessons of history will have to be learned again. So the PRS will have to reduce in size and capacity. Inevitably this means the PRS will lose the leveraged LL. It will return as it once was to the rich people. There are simply insufficient rich people to support the rental properties required. The last time this situation was the case there were reasonable quantities of social housing and there wasn't MASS UNCONTROLLED IMMIGRATION. These two factors combined with forcing leveraged LL out of business means that the current homeless situation is just 1% of what homelessness will eventually become. A possible salvation for tenants with a rapidly reducing PRS is that there will be a massive reduction in immigration. As it stands currently there does not seem any sign of this. But leveraged LL need to be in no doubt that they are coming for you. Those LL that have converted to Ltd companies should be under no illusions that they have escaped S24. Govt will come after all leveraged LL no matter how they have constructed their business. Even unleveraged LL face the prospect of reductions in income as a consequence of rent controls. Make no mistake about it the PRS is being assailed from all sides. Those leveraged LL especially need to consider their position. It is far from secure. It is clear Govt has no interest in learning historical lessons. Therefore history will return to repeat itself. Leveraged LL need to understand this and behave accordingly. Unfortunately for tenants LL don't need to bother to be LL. Tenants however desperately need LL to be LL. There are simply not enough cash rich LL to replace those leveraged LL that are forced put of business by bonkers Govt and Council anti-PRS policies. Times are going to get a lot worse for tenants in the next few years. They will be scrabbling for and paying a lot more for the considerably reduced Rental stock that will be available. Historically all governments want to pander to the vast majority of consumers i.e. tenants to show that it is doing something 'positive' for their cause, forgetting that it's private landlords that provide most of available accommodation after LAs. Posters are right when they say the consequences will be a vastly reduced PRS as the higher rate taxpayer with a mortgage is going to be hit hardest, and they are the most likely provider of rental property. Governments don't take into account the long term effect of their short term smart-arse legislation. Landlords are deemed to be cash-cows but HMG will soon find out this is not the case. Even if Govt abolished their ridiculous S24 policy it would still be insufficient to recover the PRS. To assist recovery the SDLT surcharge would need to be abolished. The PRA regulations for those LL with 3 or more BTL properties also needs to be reviewed. Not that it would solve the issues for those LL wishing to expand but I believe a trade off could occur. This would be ABOLISH S24; the SDLT surcharge and current PRA regulations. Replace the PRA regulations with a new lending requirement that ALL new mortgages for newly purchased property must be no more than 50% LTV. Such a stricture might be more onerous than the current PRA requirements. But I believe a fair exchange with the Govt for abolishing S24 and the SDLT surchcharge. Perhaps at the same time BTL should also become a regulated activity. Such abolishment of regulations mentioned and introduction of ones suggested would greatly assist the PRS and also go towards to a large extent to having the same effects on the PRS. But the immediate S24 abolishment would prevent the PRS reducing in capacity which is what tenants desperately need. Destroying the existing PRS capacity makes no sense at all. With my suggested maximum of 50% LTV for all new purchase borrowing that would immediately reduce the scope for BTL purchasing. Essentially it would require a lot 'more skin in the game' to use a common parlance. Perhaps rather than a 50% LTV requirement this would be adjustable by politicians. Essentially it would be a political decision as to the level of LTV allowed by Govt. So in extremis Govt could require 100% LTV to ensure only cash could be used to buy BTL property. So depending on a Govt's political imperatives as it saw them a Govt could finely tune the numbers of leveraged LL. Homeownership should always be the preferred form of tenure accepting that a PRS will always be required. Personally I would like to see MIRAS reintroduced for property values up to £300000 for GENUINE FTB. But if Govt wishes to prevent rents running away it must immediately abolish S24. That would only be a stop gap measure to the problem of a reducing PRS. Controlling BTL LTV is I believe a far more effective policy for Govt to control the size of the PRS. Such political control of LTV would be far more acceptable than the current methods. As a LL I would have NO objection to being restricted in LTV for new property purchases. I would fully accept being resticted as to the level of borrowings for a BTL property I would be permitted. I would accept that such restriction is subject to political control by the Govt of the day.